Children of Kabul provides rare access to the war-torn streets of Kabul, Afghanistan, documenting the unfolding tragedy of child labor. 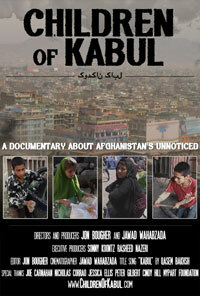 Taking you into the lives of four young Afghan children – Omid, Sanabar, Yasamin and Fayaz – this short documentary provides first-hand accounts of a generation washing cars, picking garbage, selling food and hammering metal to earn money for their families. Devastated by war and economic difficulties, these children are the breadwinners of their families, creating an uncertain future for a country on the front lines of American foreign policy.